Each year MDA presents two awards to one large marina (more than 250 slips) and one small (less than 250 slips). The statistics here continue the coverage of revenue trends for six additional profit centers. their efforts in many categories, including business operations, facility improvements, community and industry involvement, environmental responsibility and more. 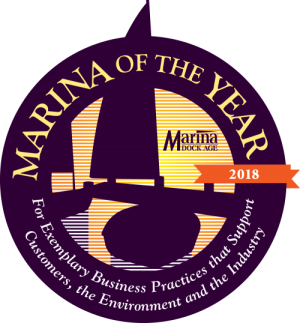 Congratulations to Westpoint Harbor in Redwood City, California, the large Marina of the Year, and Pikes Bay Marina in Bayfield, Wisconsin, the small marina winner. The winners were honored at a breakfast on December 5 at The Docks Expo in Nashville. For more photos about the awards and the event, see page x. Each winner will also be featured in an upcoming issues of the magazine. 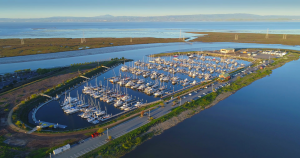 Westpoint Harbor in Redwood City, California, is the 2018 large Marina of the Year winner. 26-acre marina basin was excavated from property previously owned by the Leslie Salt Company (now Cargill) and was a pond for storing what was left over after table salt was harvested from sea water. Today, the marina still faces regulatory challenges from local agencies, which sparked the formation of Friends of Westpoint Harbor, a group of concerned businesses and citizens that raise awareness about unfair enforcement practices. Earlier this year, the group’s actions resulted in the 2018 state legislature ordered audit of the Bay Conservation and Development Commission to review its practices for fines and other heavy-handed practices, where the organization has overstepped its bounds. 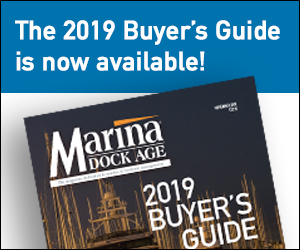 The marina is heavily involved with not only this issue, but also supporting the local community and the larger marina industry. 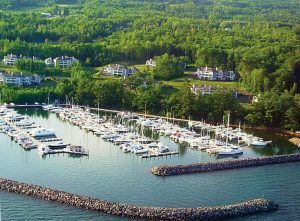 Pikes Bay Marina in Bayfield, Wisconsin, is the 2018 small Marina of the Year winner. ons, a dog exercise area with free waste bags, LED lighting and more. A solar site assessment has been done with Next Energy Solutions, and management is considering the proposal to use the roof of the energy efficient service center to help power the clubhouse. Not without its challenges, the natural beauty of the location is highlighted by the expansive view of the lake from the clubhouse, which sits approximately 100 yards from the marina below, about a 40-foot change in elevation. The Marine Service Center, boat storage and overflow parking also sit upland, which makes moving boats a challenge, especially in the winter.